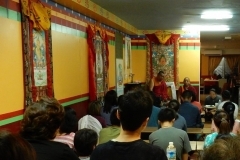 gave a teaching on the 'Eight Verses of Training the Mind' and confer the Green Tara Empowerment. 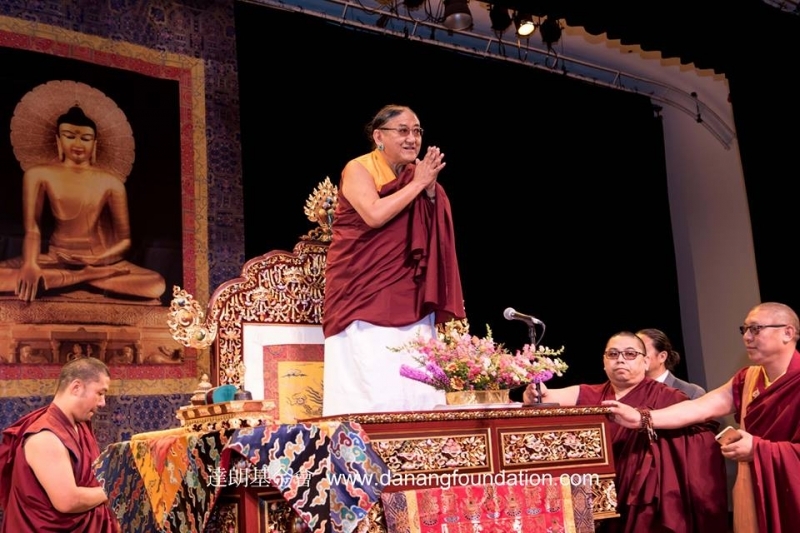 Tai Situpa gave the empowerment of White Tara, the female deity of longevity, one of the three yidams of long life with the other two being Ushnishavijaya and Amitayus. 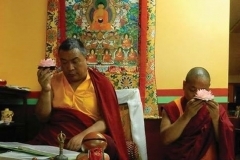 It is recorded that Nagarjuna and Atisha, two of the greatest masters, gained spiritual achievements by practicing according to the instructions received from Tara personally. 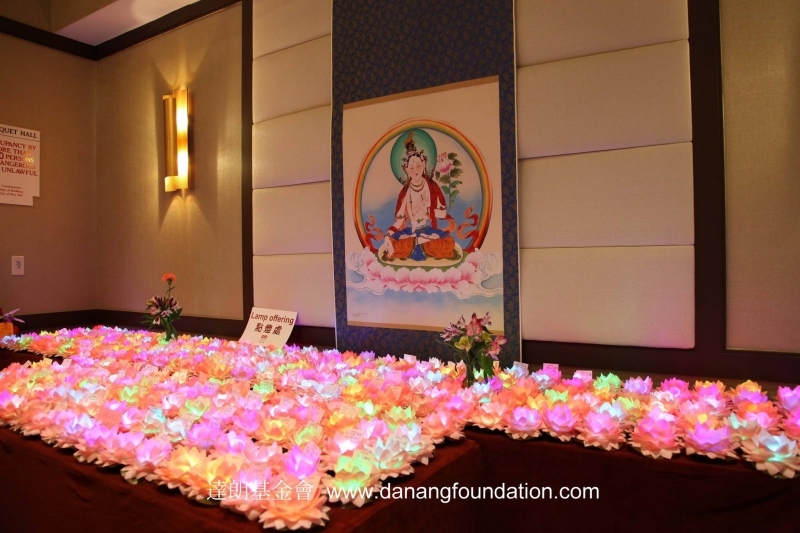 The white hue represents the pure nature of all dharmas. 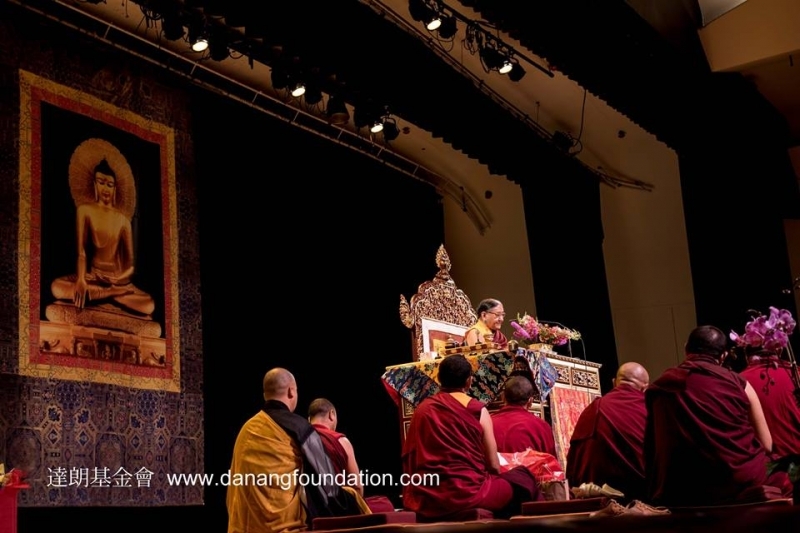 Her extra eye in the forehead gazes on the buddha lands of ten directions, receiving the blessings and wisdom from all buddhas. 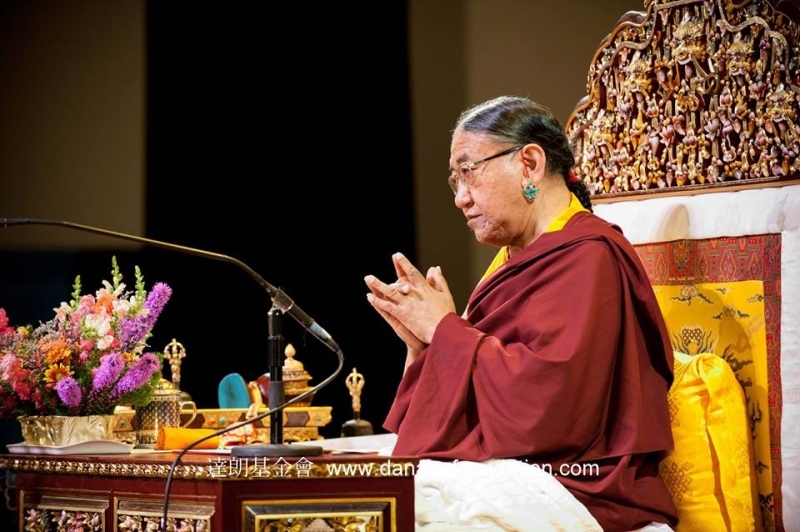 The two main eyes and four eyes in her palms and soles look down on the sentient beings of six realms with loving compassion, eliminating their sufferings. 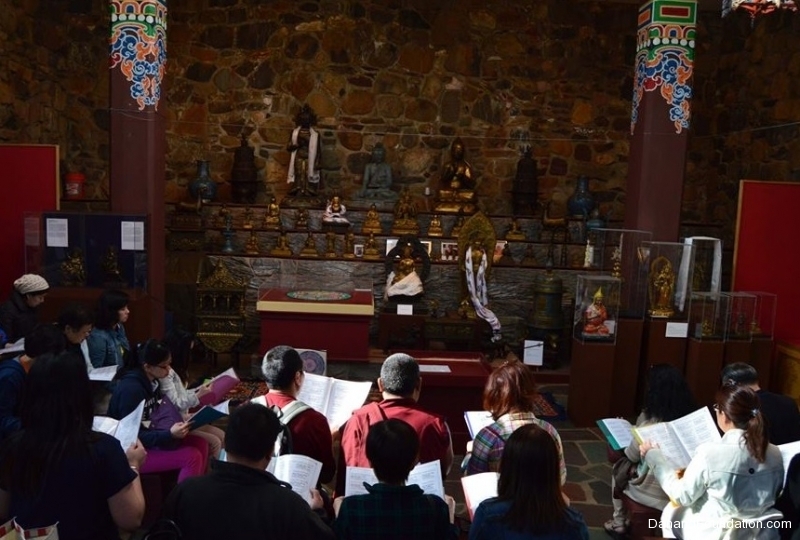 Practicing White Tara can dispel deceases and obstacles, extend one&#39;s lifespan, enrich fortune and increase wisdom, as well as protect from bad spirits, famines, fear, etc. 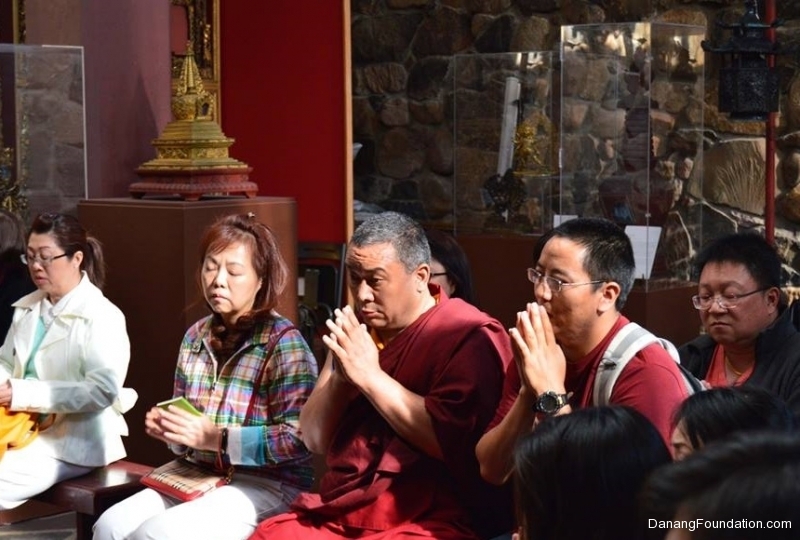 Practicing White Tara can even uproot samsara, fulfill all good wishes, and give rise to worldly and transcendental achievements. 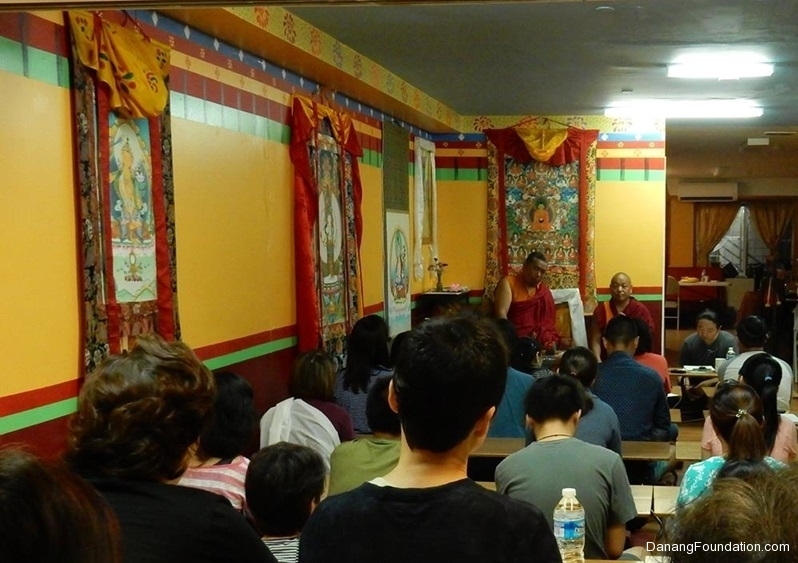 Rinpoche also taught on how to practice in modern urban life. 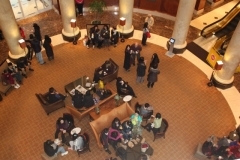 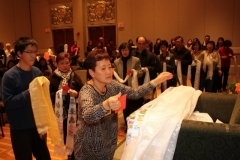 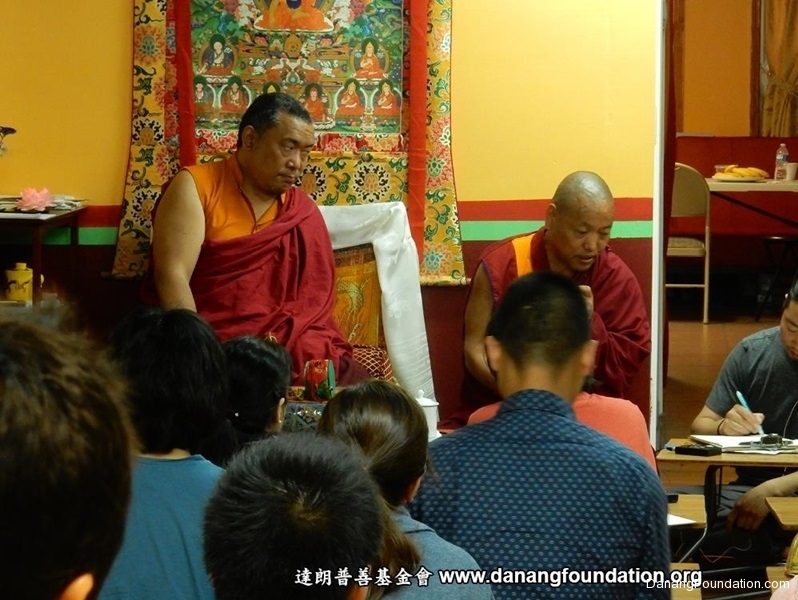 He touched upon the practical topic: In such an era when the afflictive emotions of us beings are so strong, how should one skillfully apply Buddhist practice to daily life; how should one, after generating renunciation, understanding impermanence and sufferings of cyclic existence, be driven to the path of liberation. 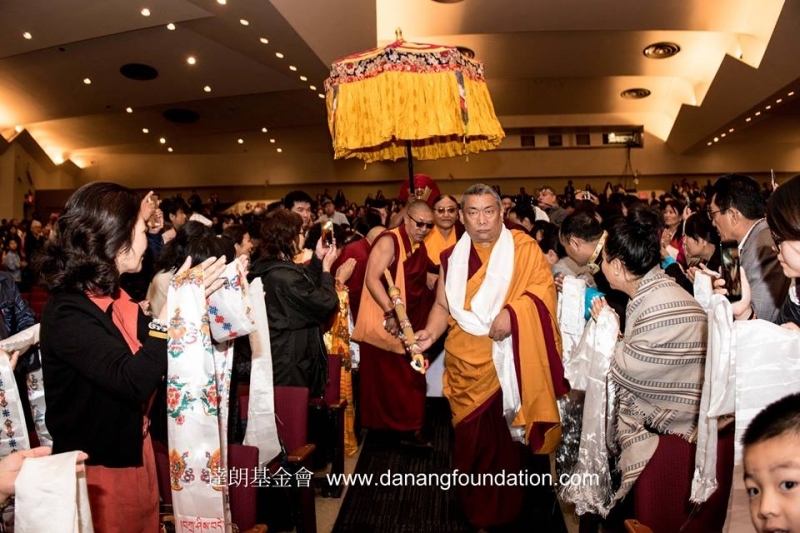 Kenting Tai Situpa (Tibetan: ཏའི་སི་ཏུ་པ་ ) is an important tulku title of Kagyu lineage. It enjoys a long history of reincarnation tradition, dating back to Yongle Emperor period of Ming dynasty. 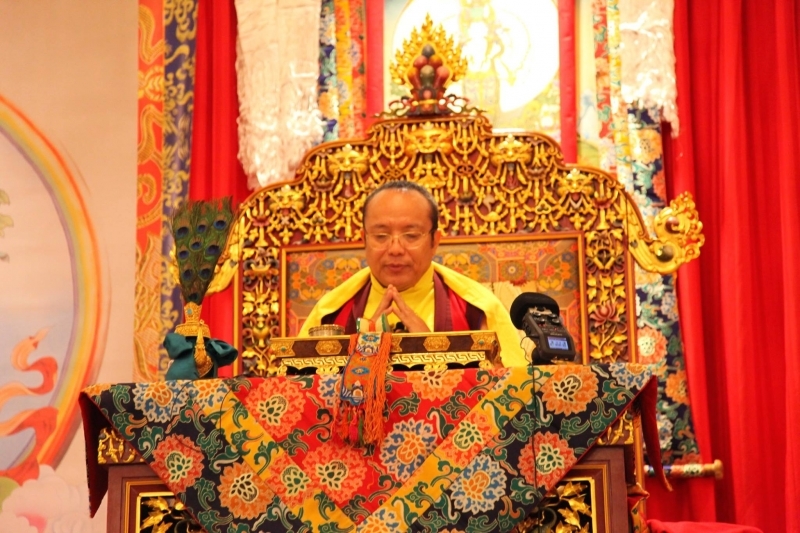 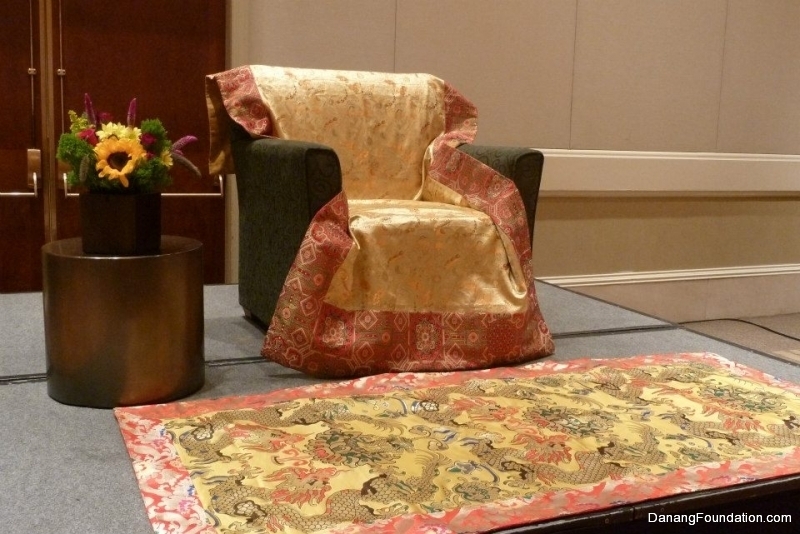 Tai Situ Rinpoche is considered as the emanation of the next Buddha Maitreya. 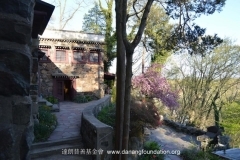 His root residence is Pelpung Monastery. 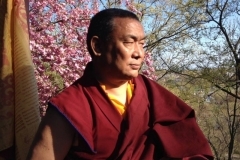 The current Tai Situpa, Pema Tonyo Nyinje, is the 12th holder of this title. 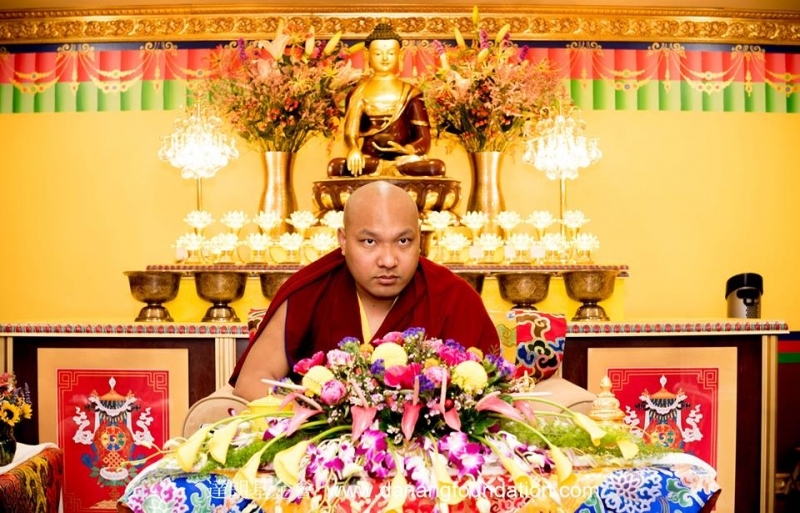 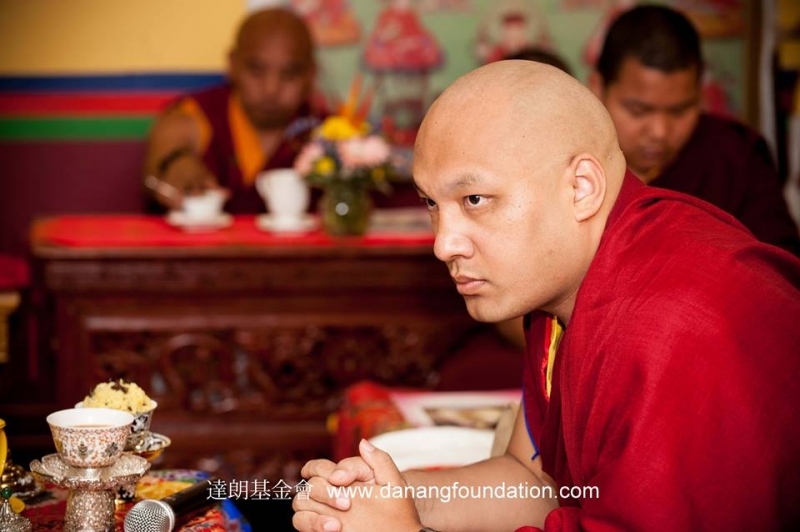 He was recognized by H.H 16th Karmapa Rangjung Rigpe Dorje and is the guru of H.H 17th Karmapa Ogyen Trinley Dorje. 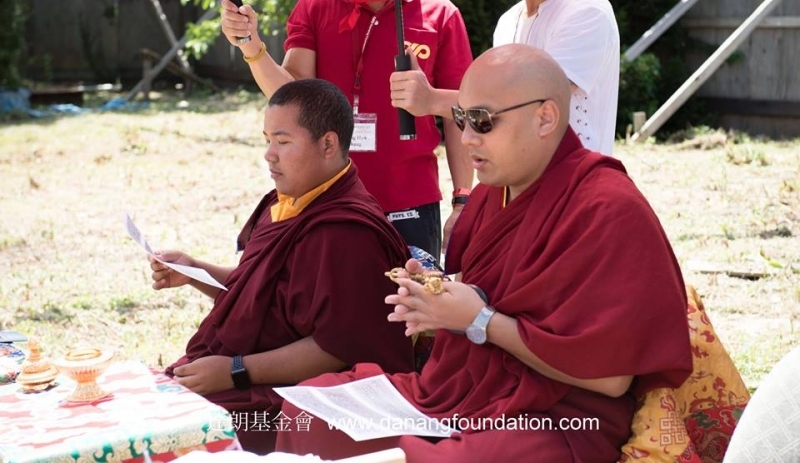 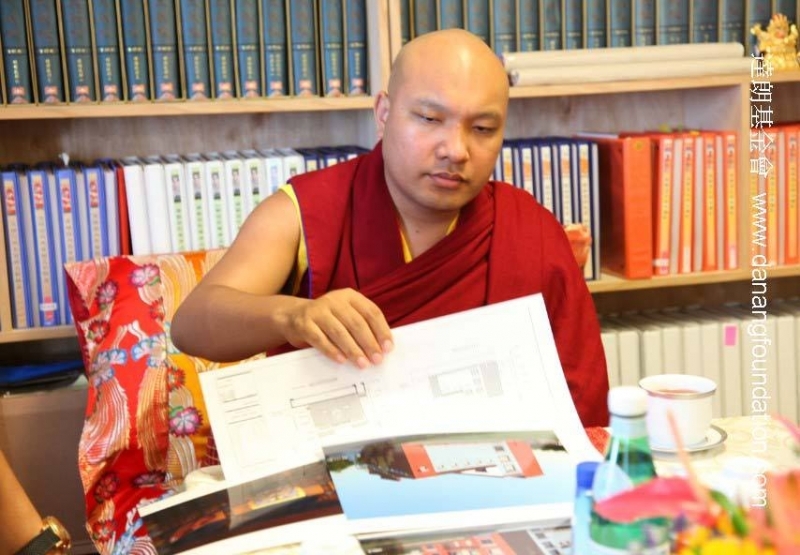 His Holiness the 17th Gyalwang Karmapa visited Danang Foundation, and seemed pleased with the Foundation’s collection of Buddhist texts and treatises, and Danang Foundation’s initiatives to build a library based on this collection, translate and codify authentic prayer texts into electronic versions for download. 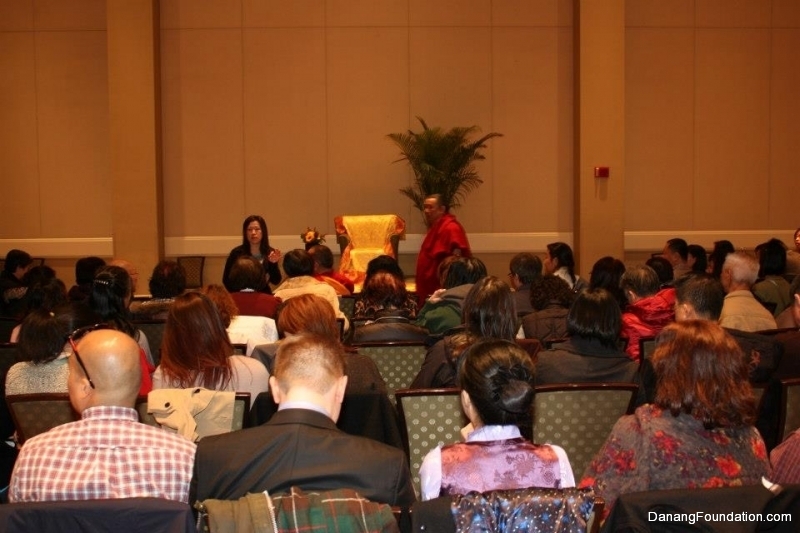 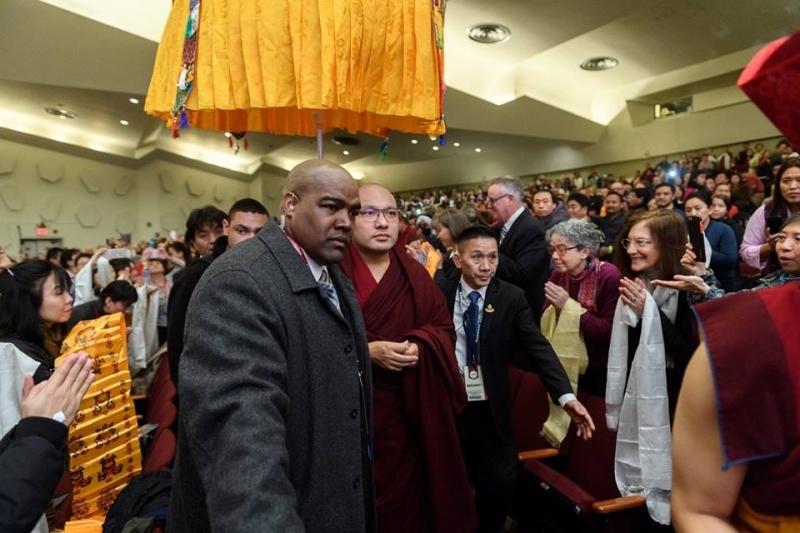 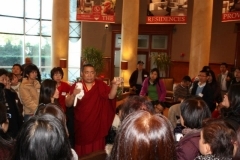 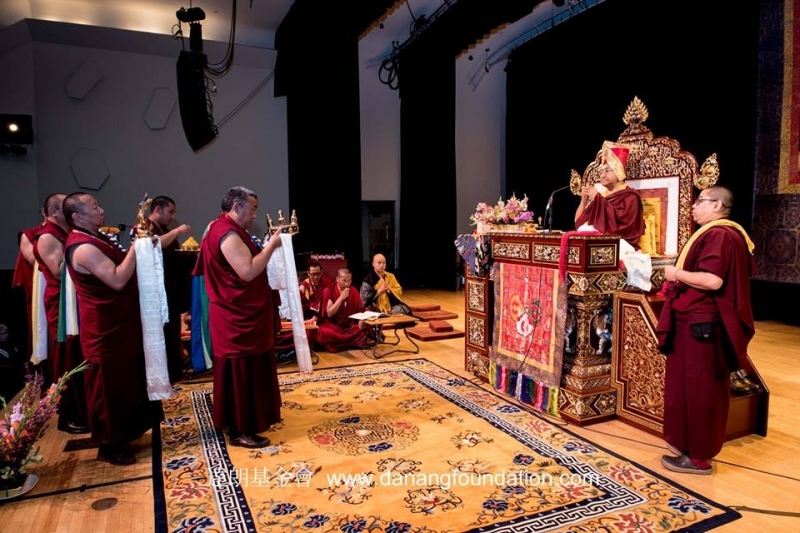 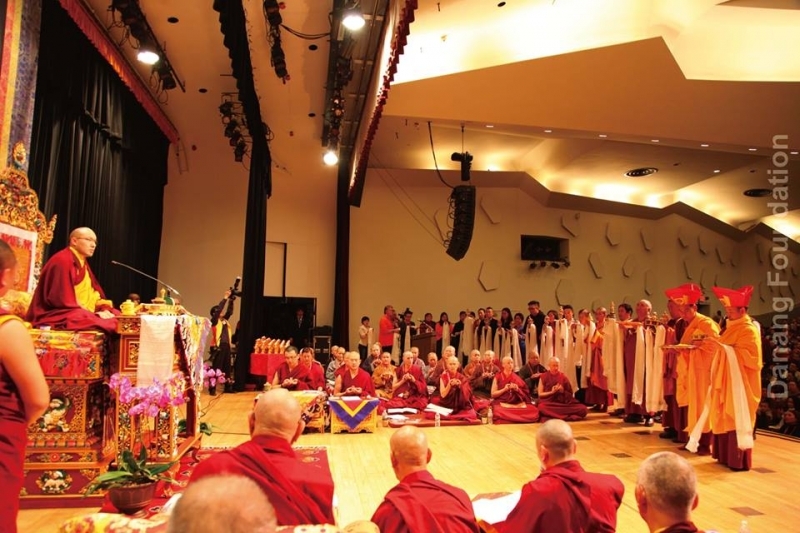 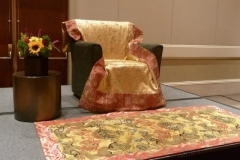 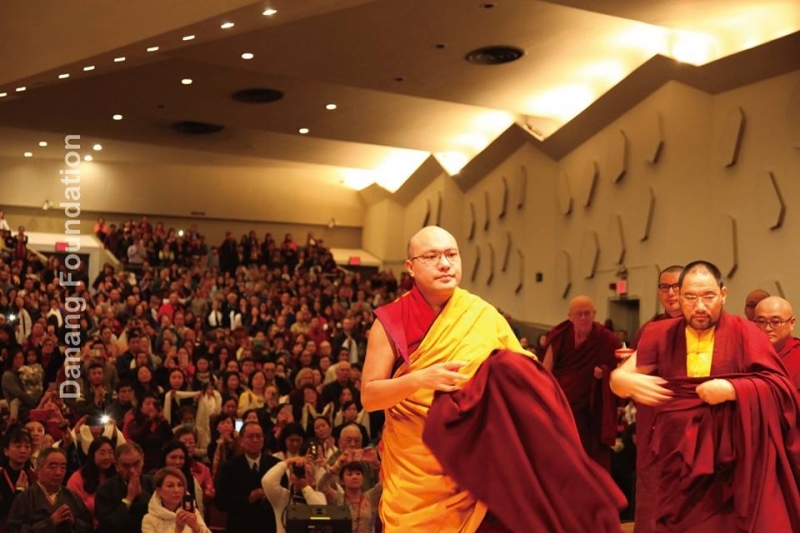 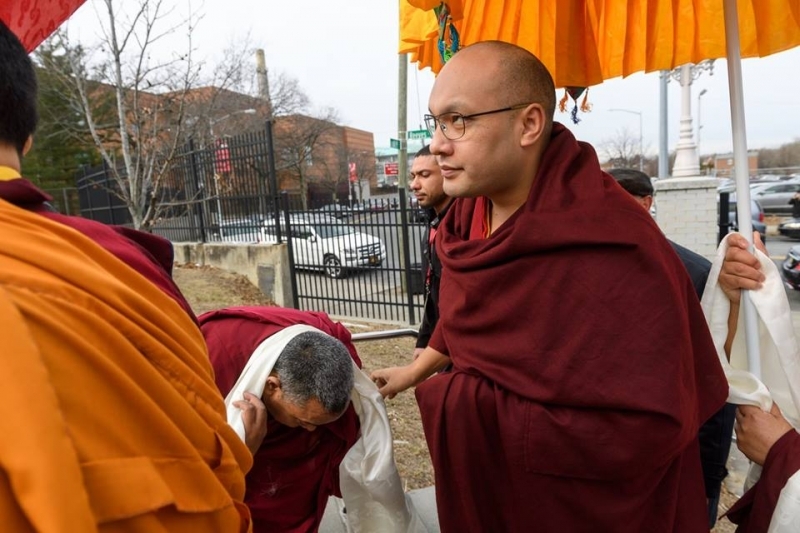 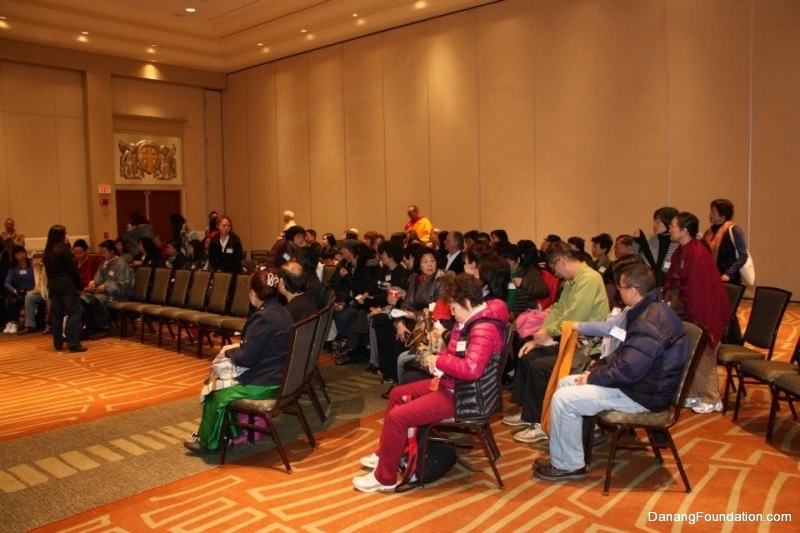 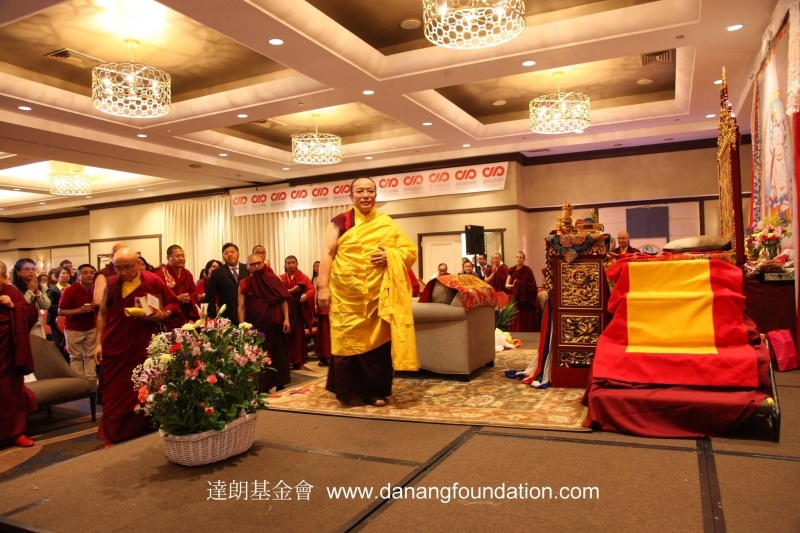 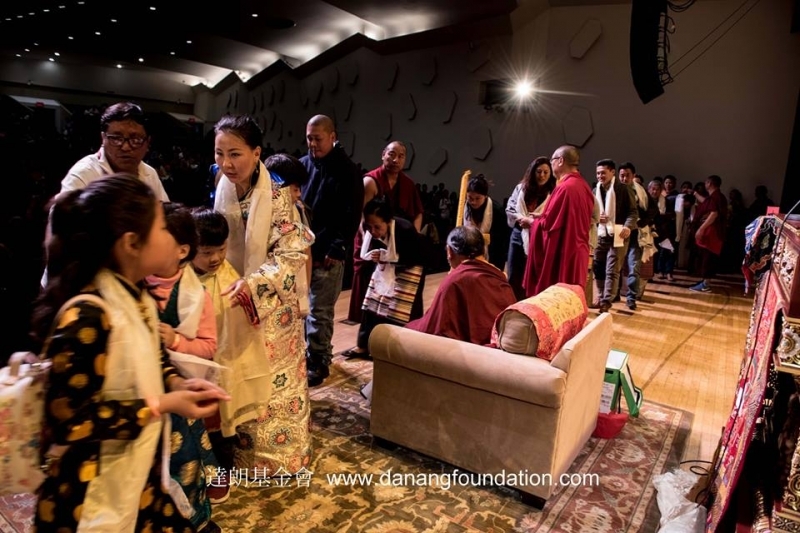 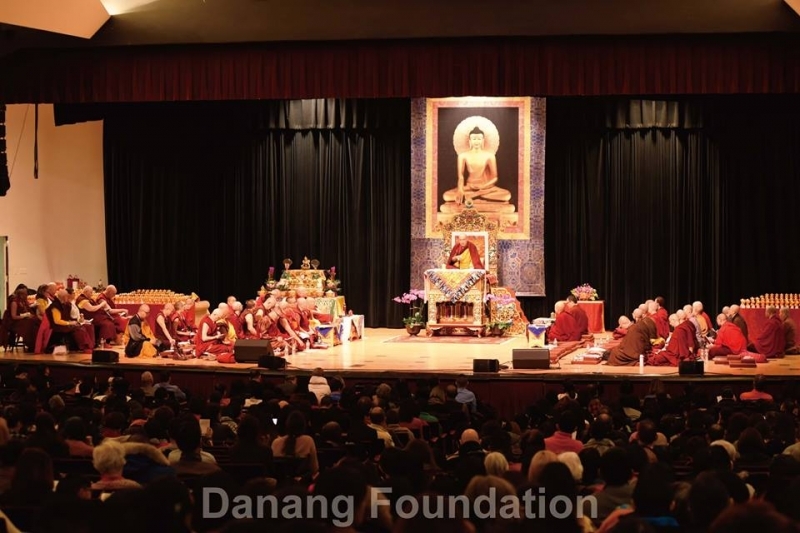 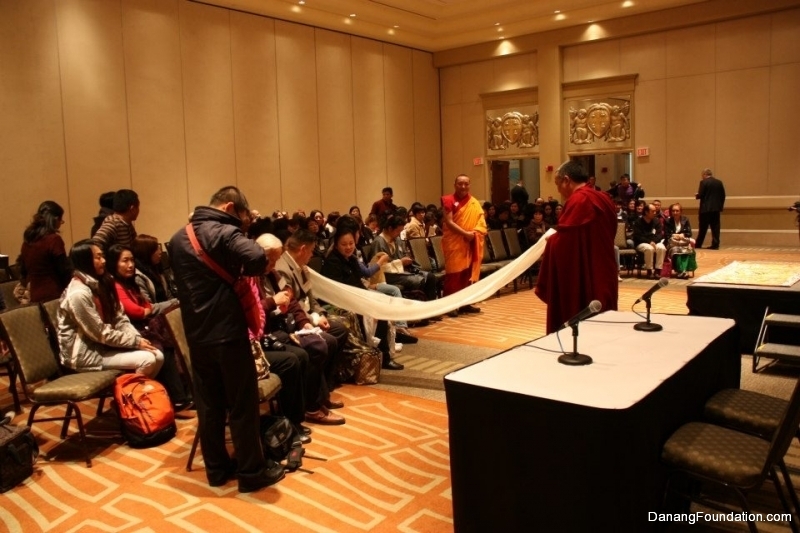 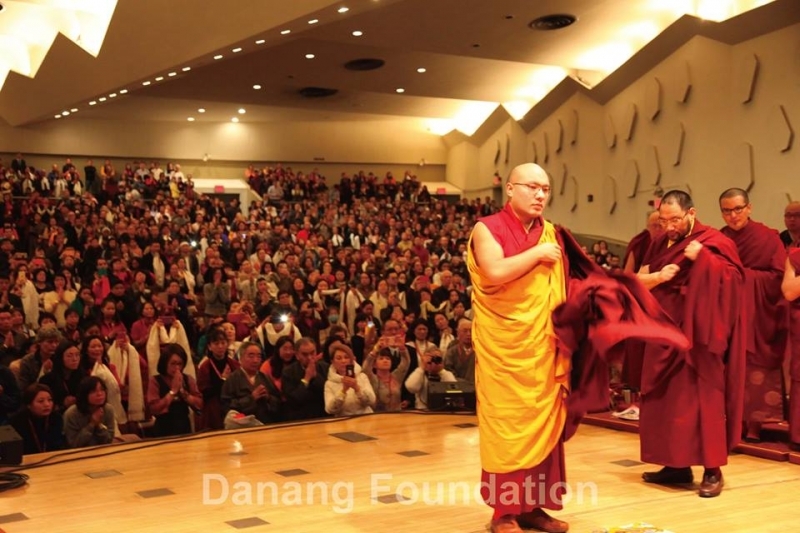 Amid a packed and busy schedule at Providence, Rhode Island, His Holiness the Dalai Lama very kindly granted a private audience with some 100 students from Tibetan Buddhist Center and Karma Thegsum Choling – New Jersey, kudos to Tsewang Rinpoche and Lama Tsultrim, who led the devotees in the petition with faith, wisdom and compassion. 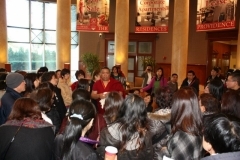 Tsewang Rinpoche had remarked that His Holiness had essentially given up his personal morning rest hour for the audience. 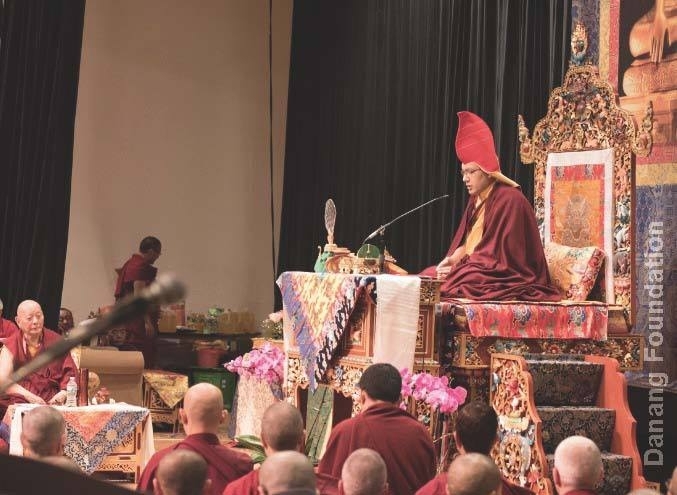 His Holiness spoke to the students, emphasizing that in addition to faith, students should seek to understand the source, history, logic and profound meanings of the teachings, analyze them thoroughly and examine them against developments in psychology, and other sciences. 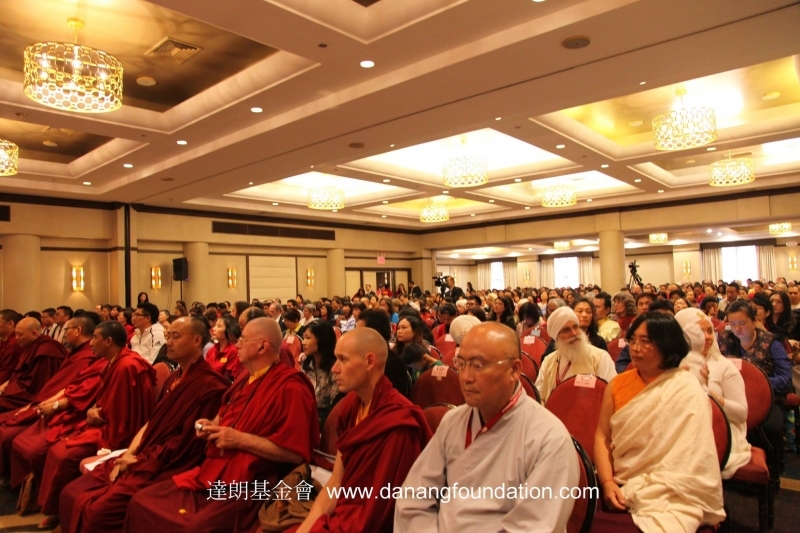 He also mentioned that blind prayers to Buddha does not a 21st century Buddhist make. 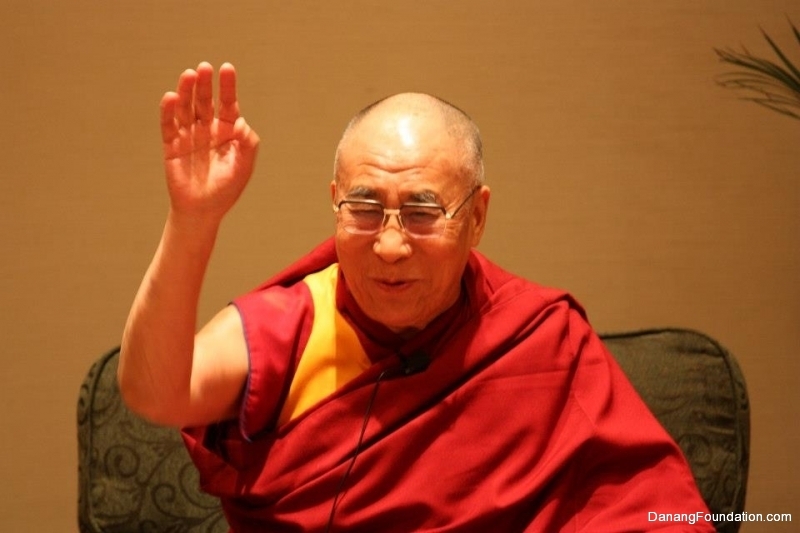 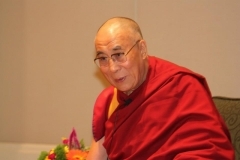 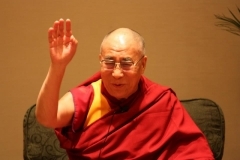 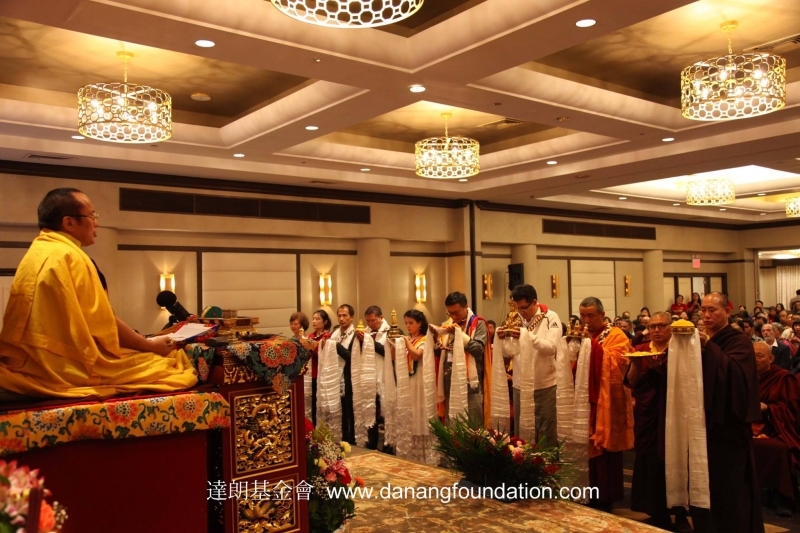 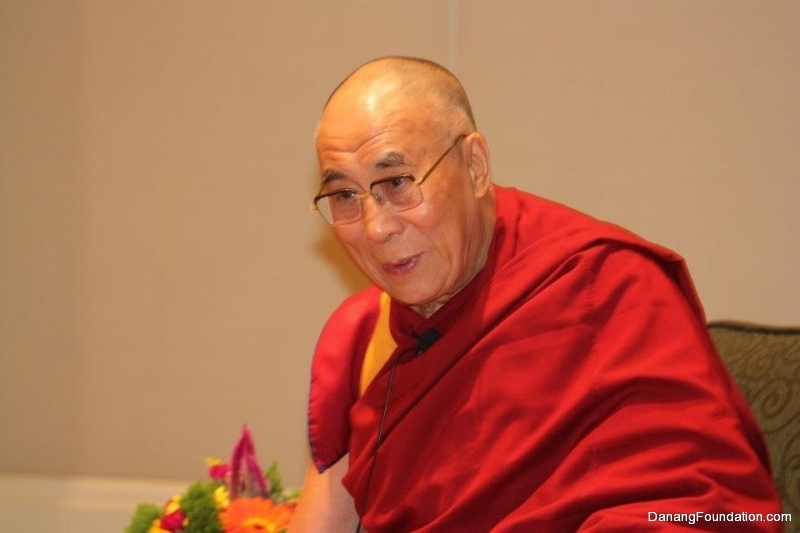 Then, His Holiness granted the oral transmission for the 6-syllable mantra and the mantra of Manjusri. 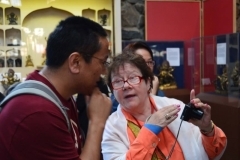 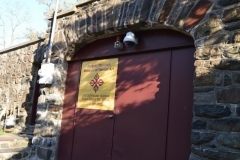 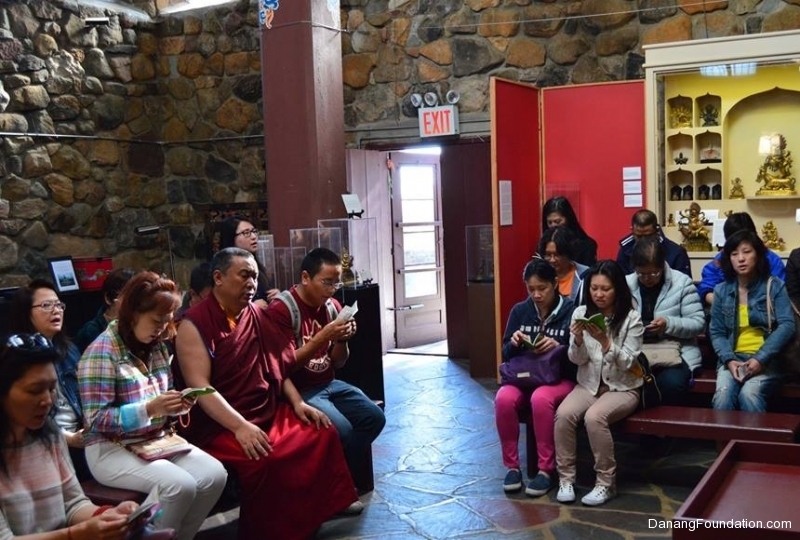 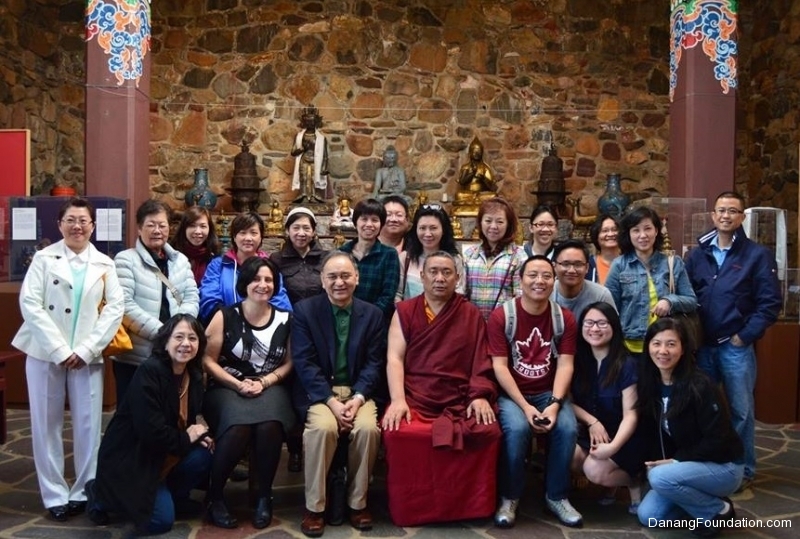 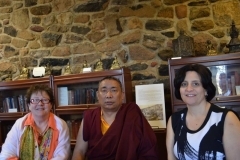 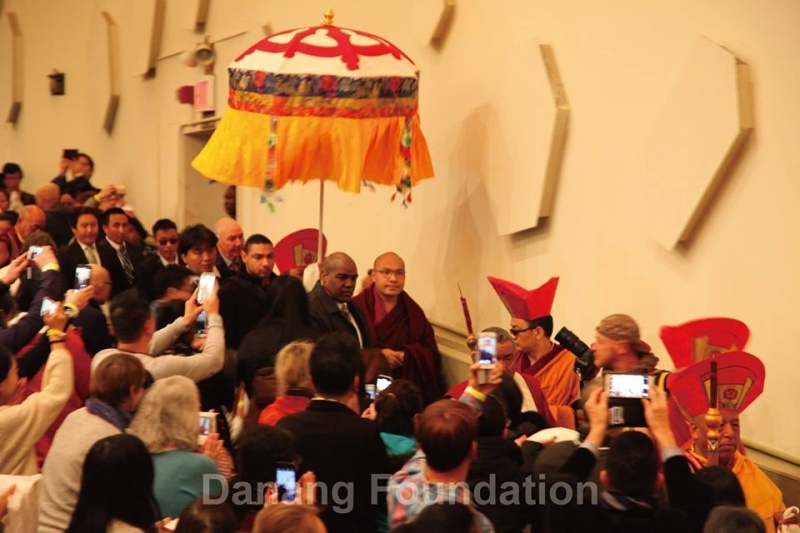 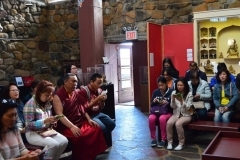 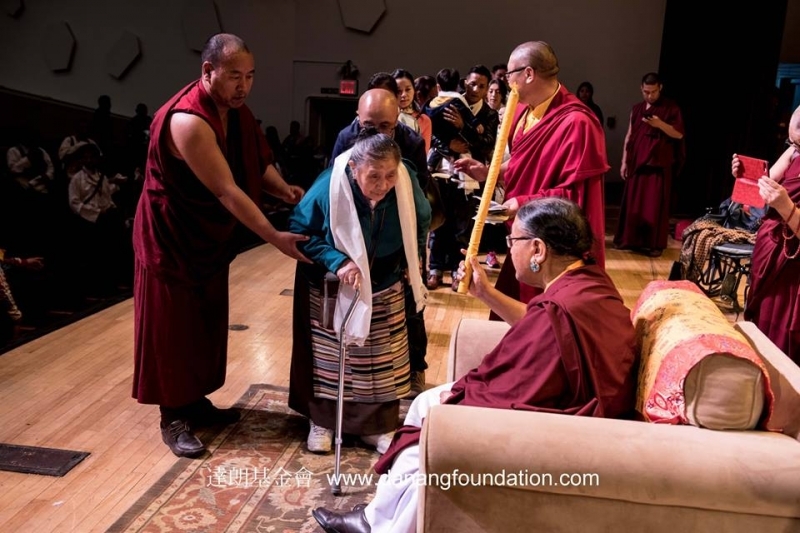 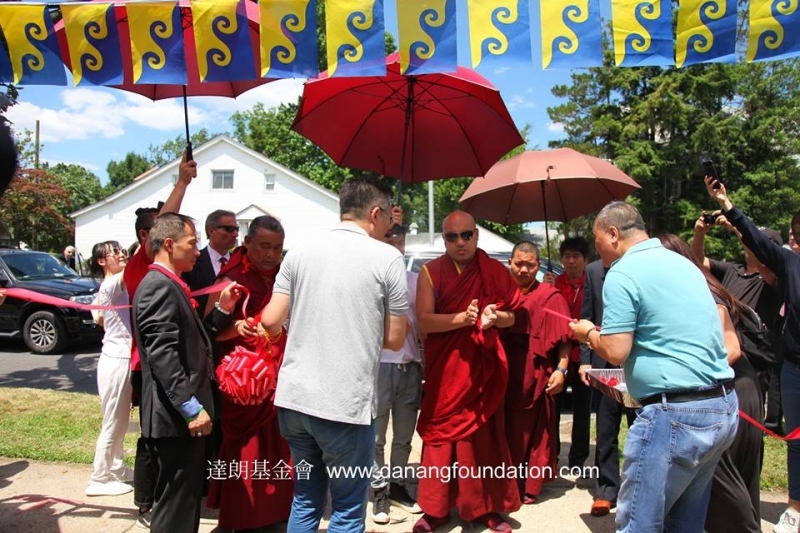 On 5/2/2015, Tsewang Rinpoche, along with some 20 students and their family members, visited the Jacques Marchais Museum of Tibetan Art in Staten Island, New York. 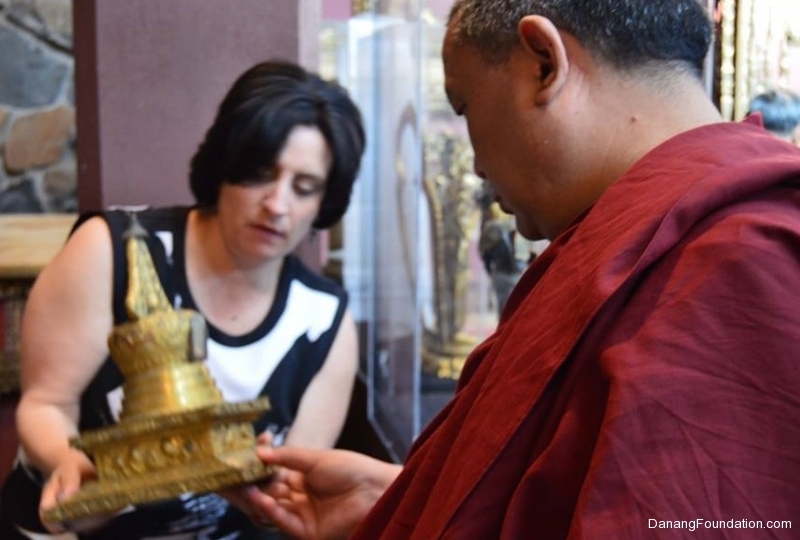 The museum, which was founded in 1945 by American private collector of Himalayan artifacts Jacques Marchais (1887-1948) is now open to the public. 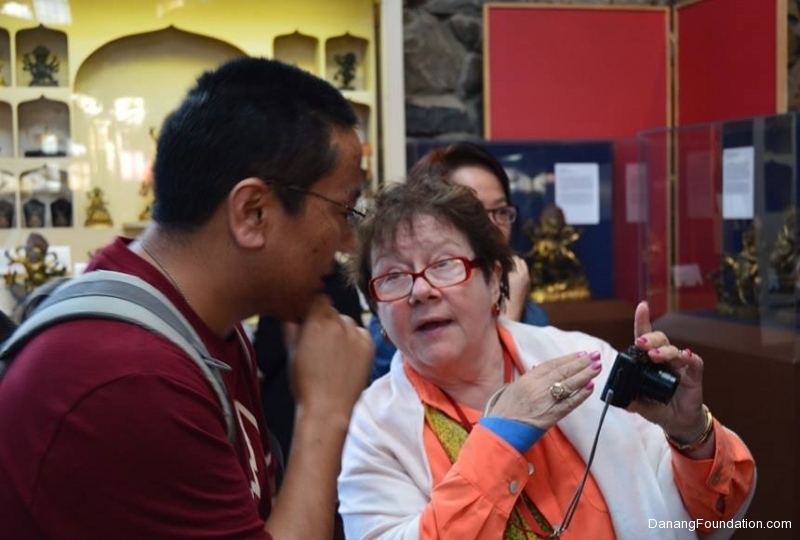 Tsewang Rinpoche expressed that he was moved by the gesture of the founder, and the on-going efforts of the museum board, in their preservation of Tibetan art. 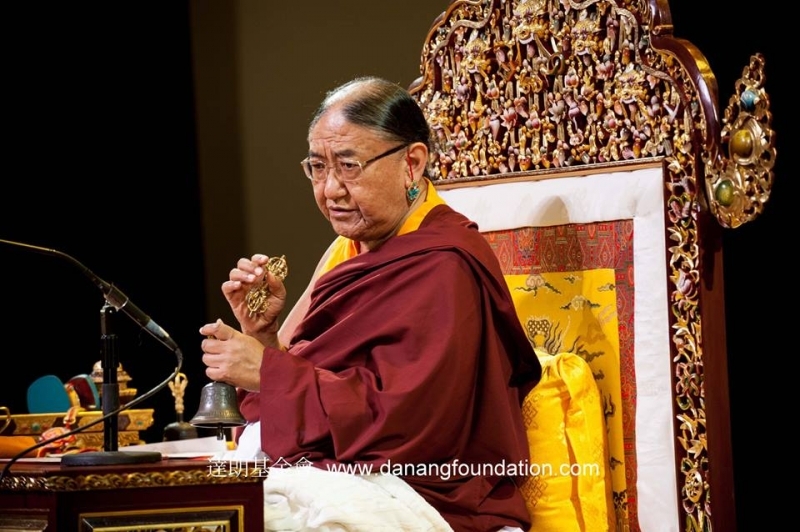 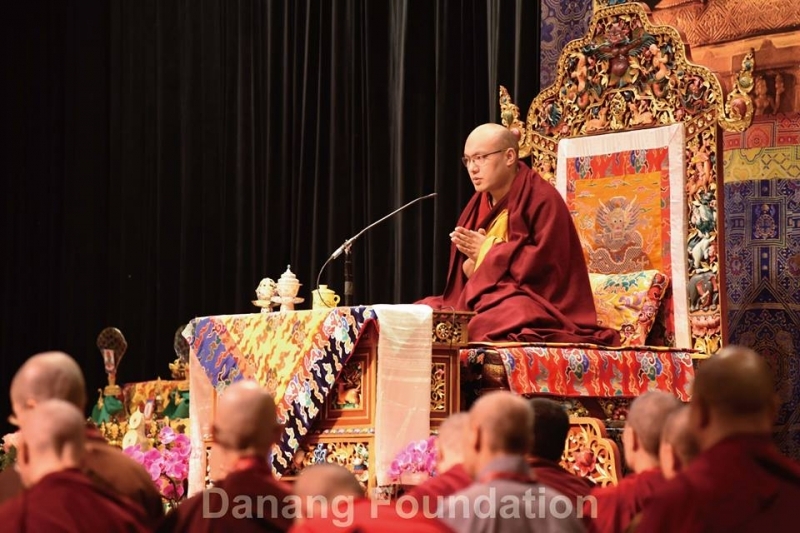 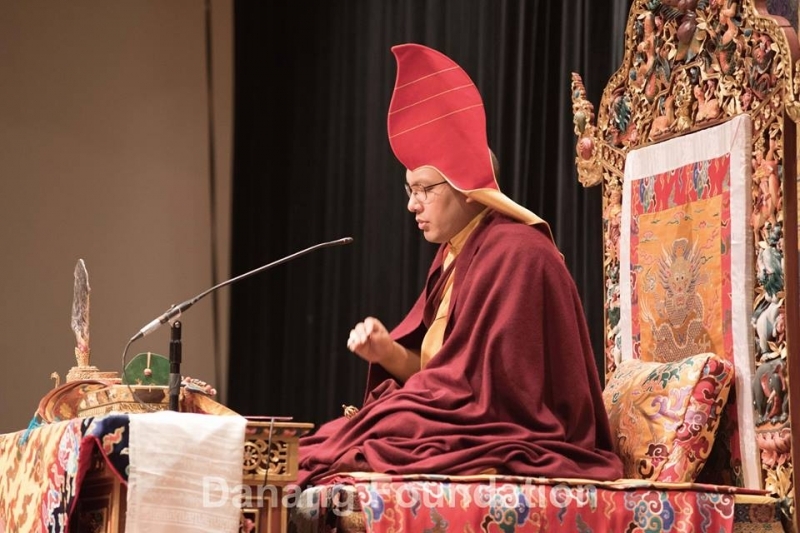 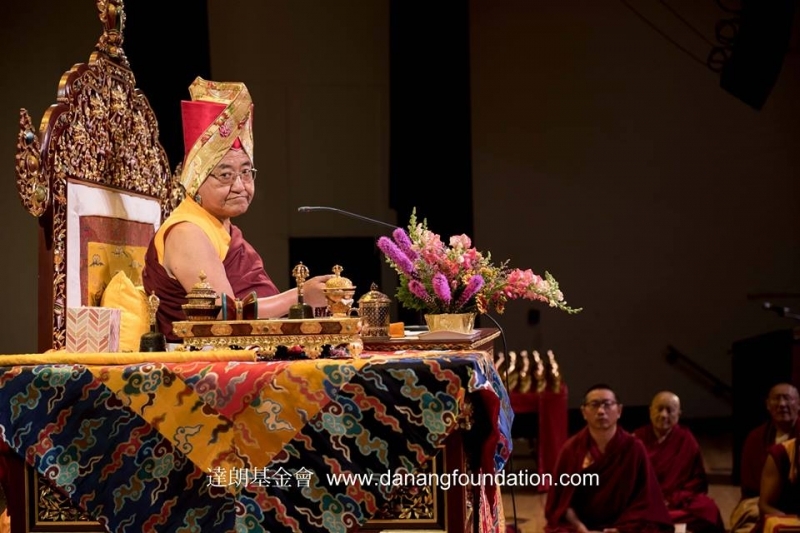 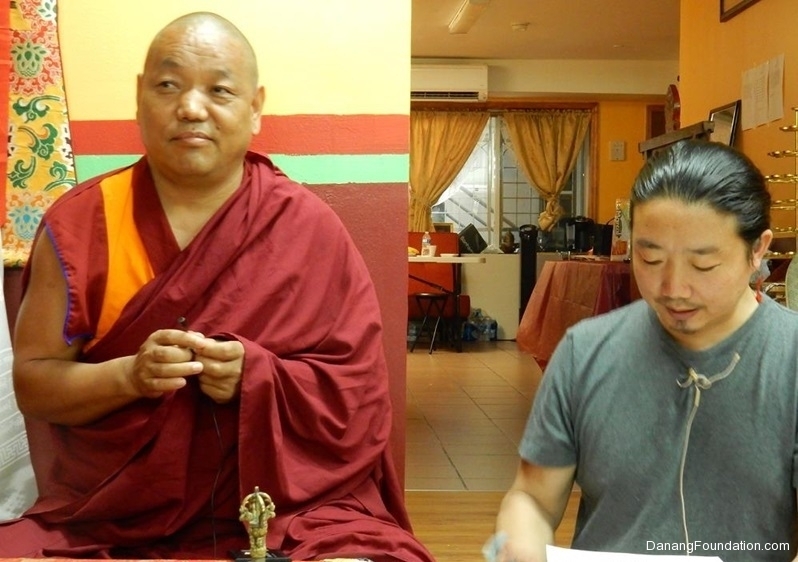 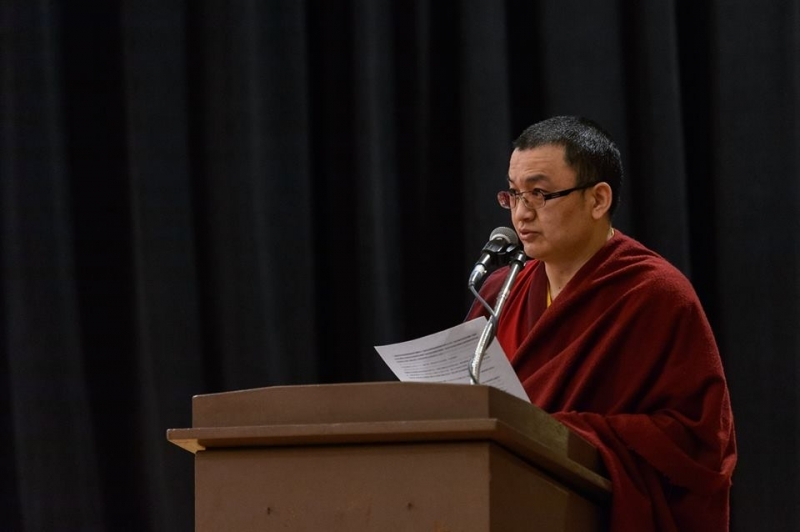 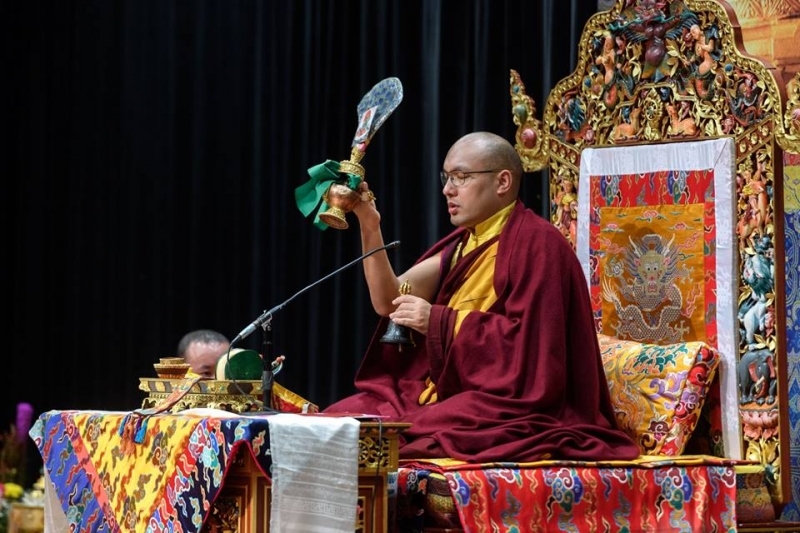 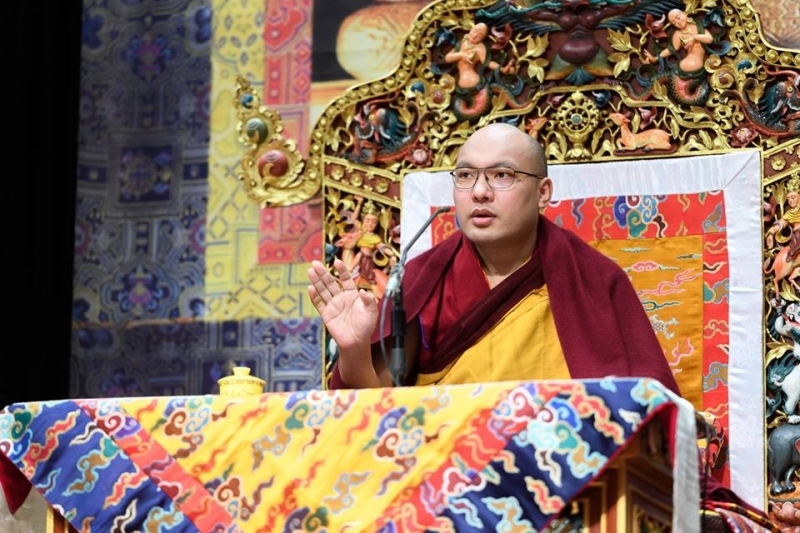 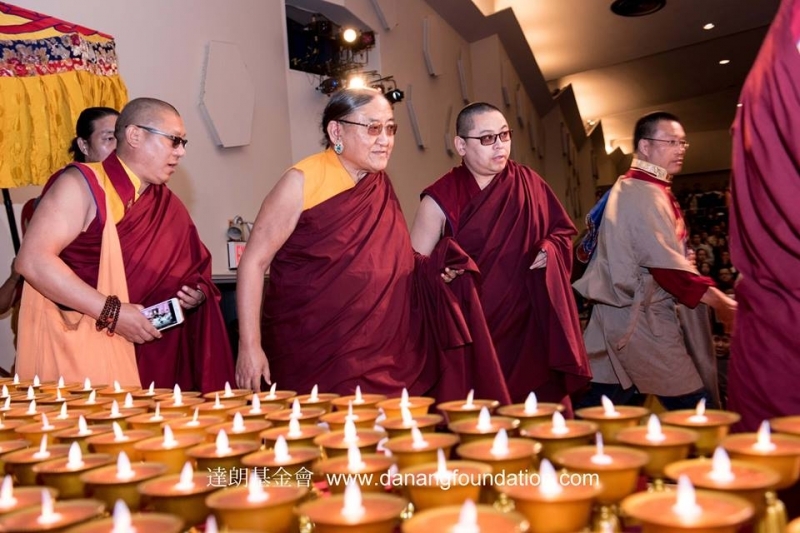 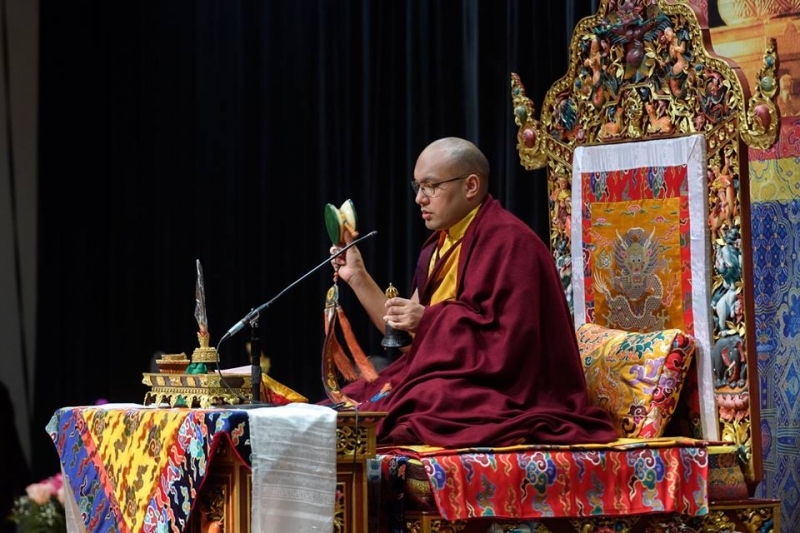 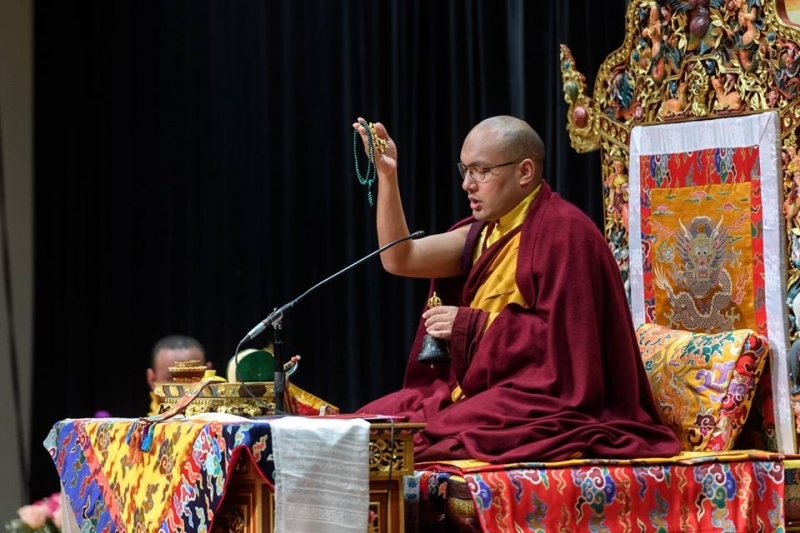 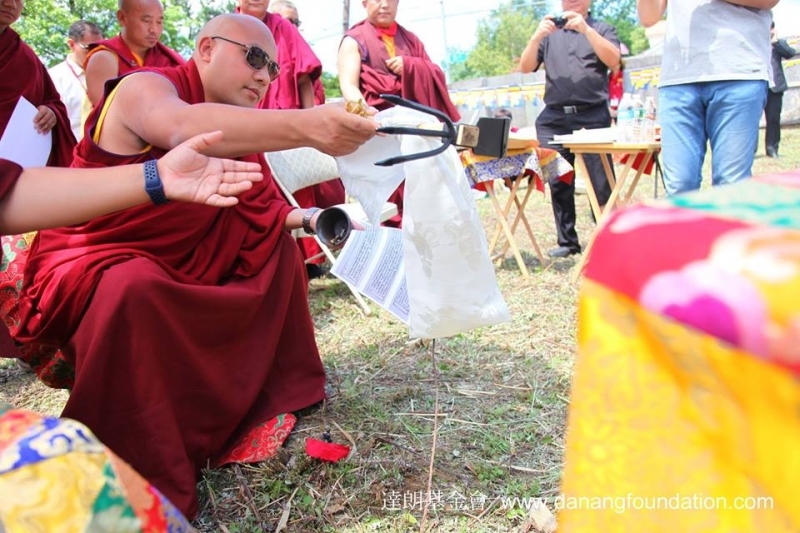 To complete the visit, Rinpoche led his students in a simple recitation of the Eight Auspicious Verses, Short Practice of Four-Arm Chenrezik, Praises to 21 Tara, Aspirations to be Born in Dewachen, and others. 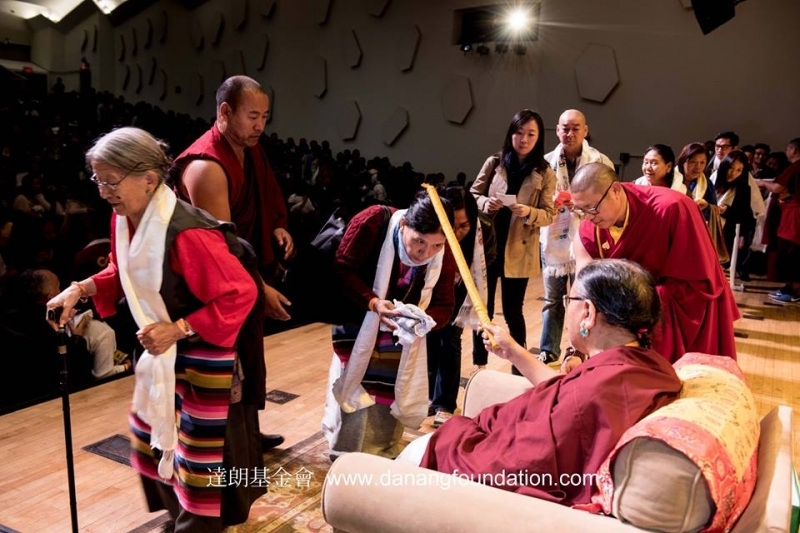 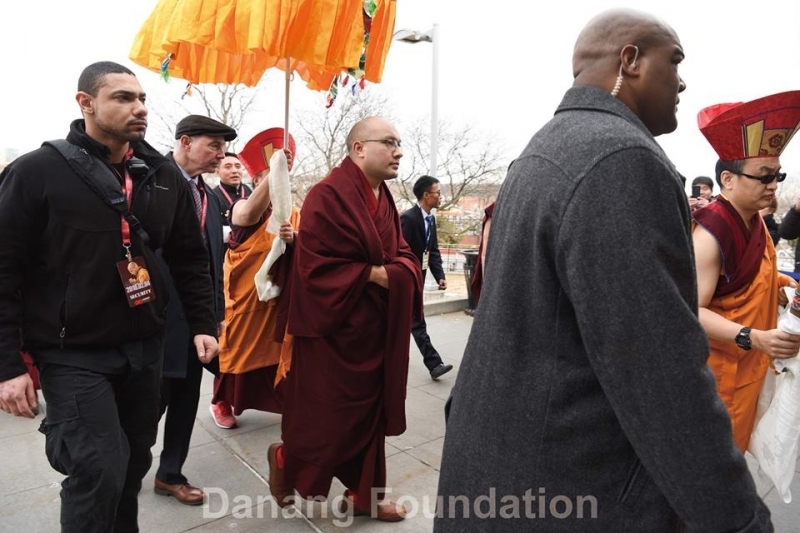 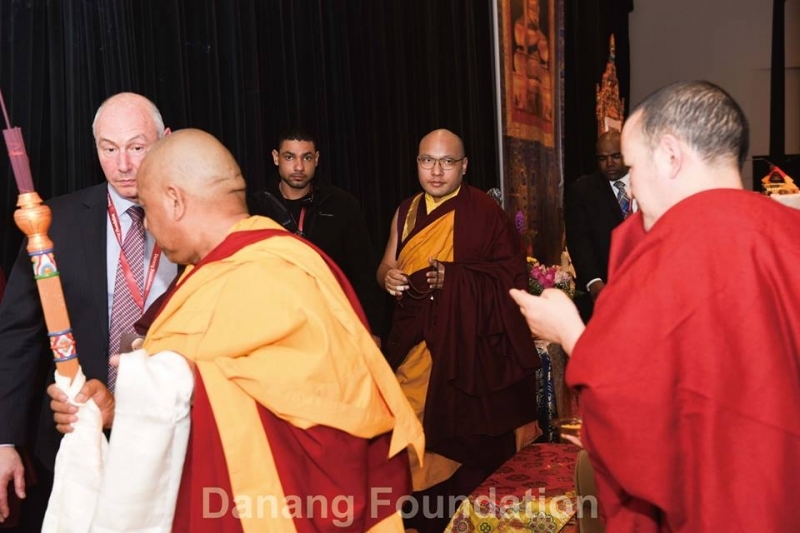 As part of Danang Foundation’s mission in ‘Cultural Preservation’, Rinpoche presented a US$1500.00 donation to the Museum in support of their initiatives. On this occasion, the Venerable Geshe Jampal Dakpa, principal at College For Higher Tibetan Studies, Sarah, in Dharamsala, India, was at sister college for exchange in Arizona, but made special arrangements for an overdue visit to his old friend, Tsewang Rinpoche, at Tibetan Buddhist Center, and in part, to thank Danang Foundation for the annual sponsorship of the Chinese course at Sarah. 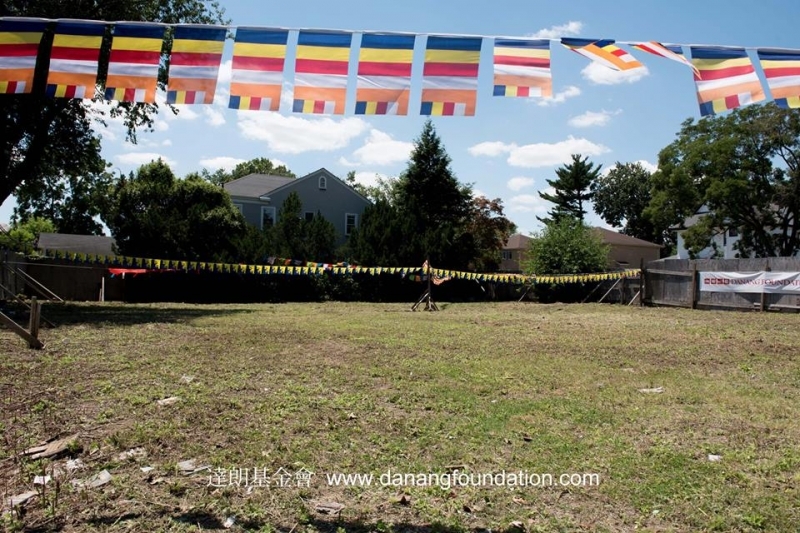 Since 2011, Danang Foundation had fully funded this course, which teaches Chinese as a second language, benefits at least 30 students at any one time, and is worth at least US$17,000.00 per school year. 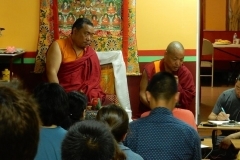 Geshe also joined the students at Tibetan Buddhist Center for their regular Sunday Tara practice and gave a short teaching on the practice of the path. 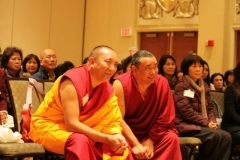 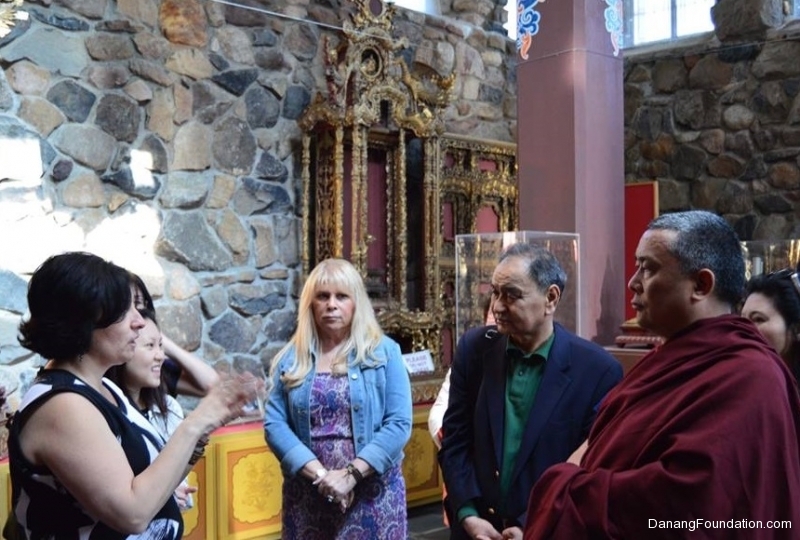 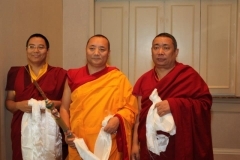 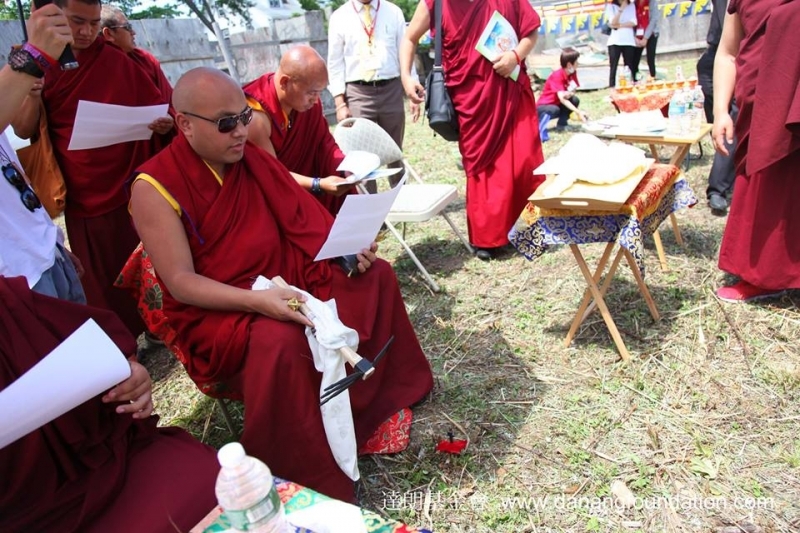 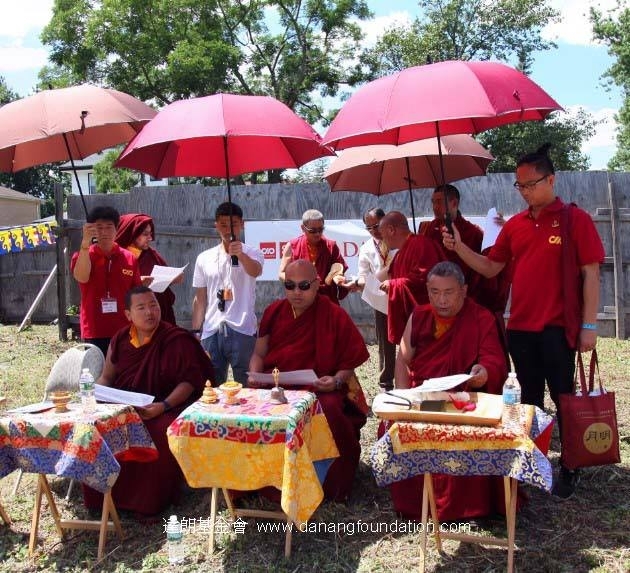 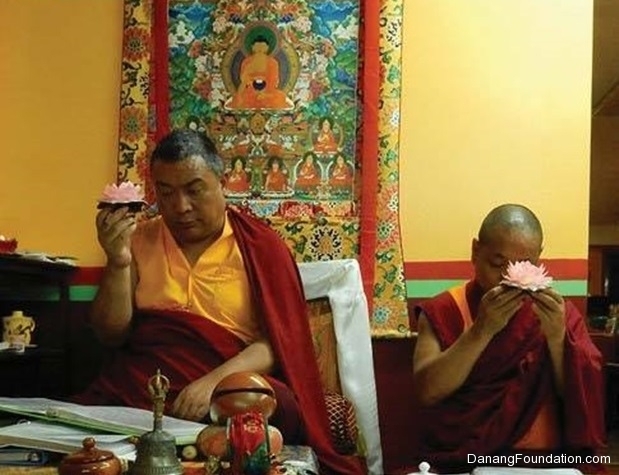 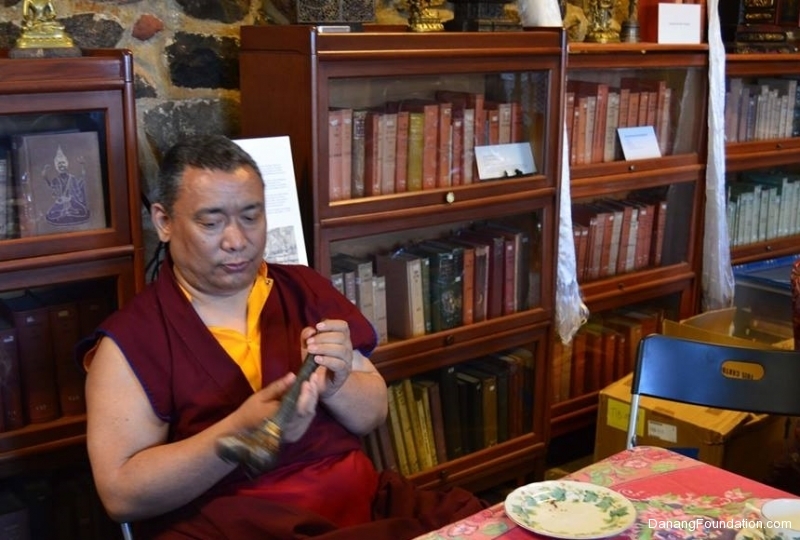 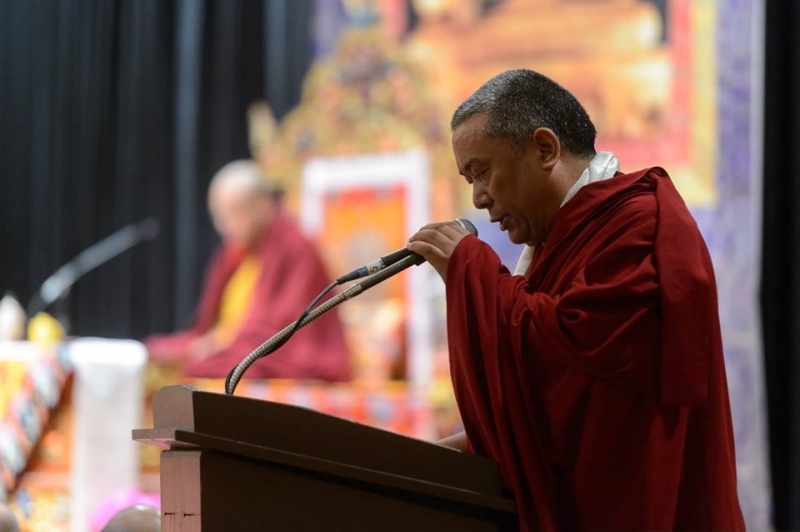 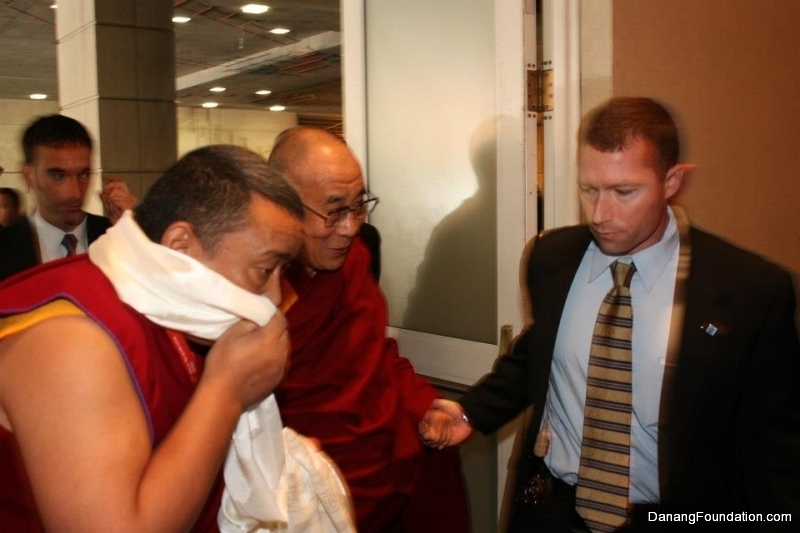 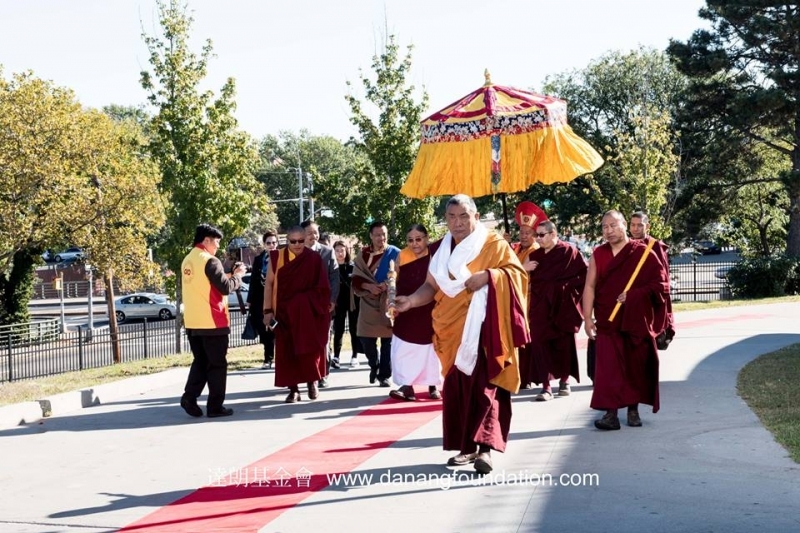 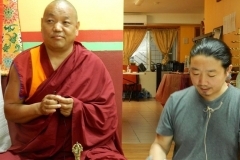 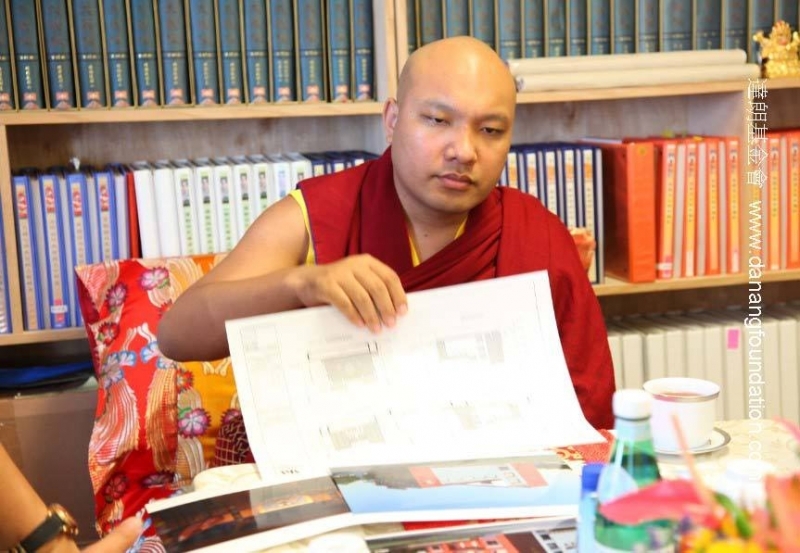 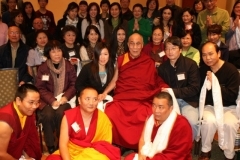 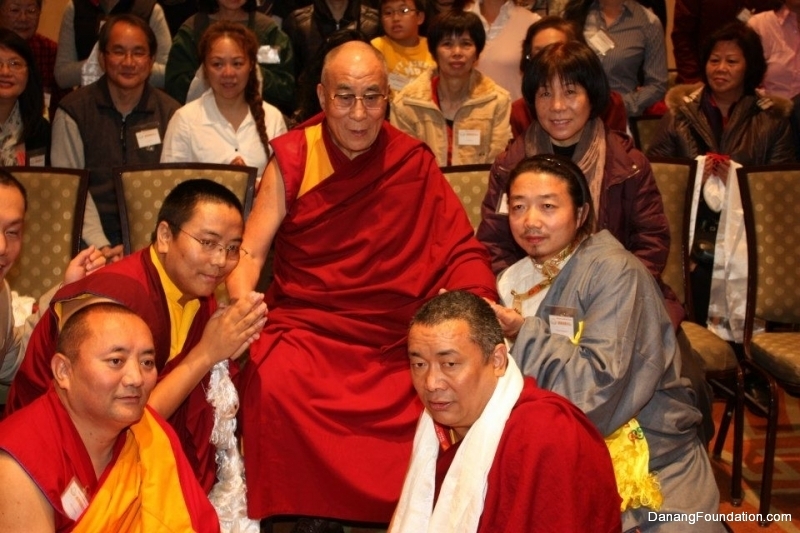 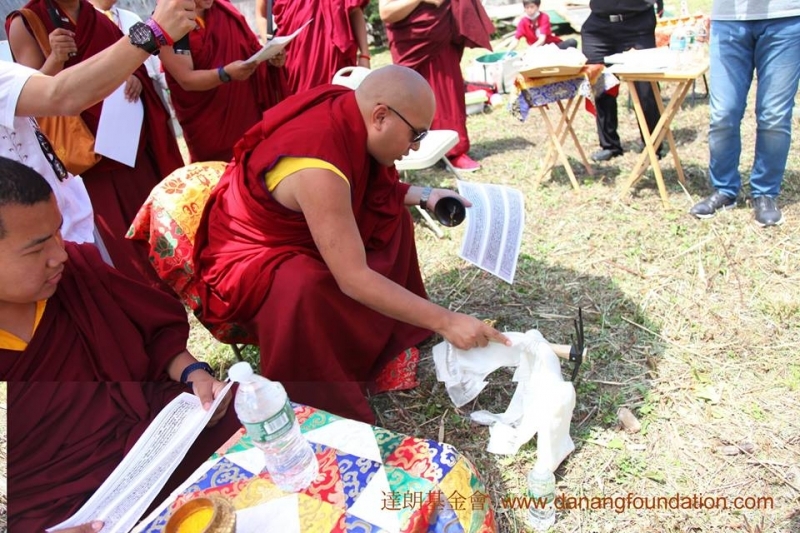 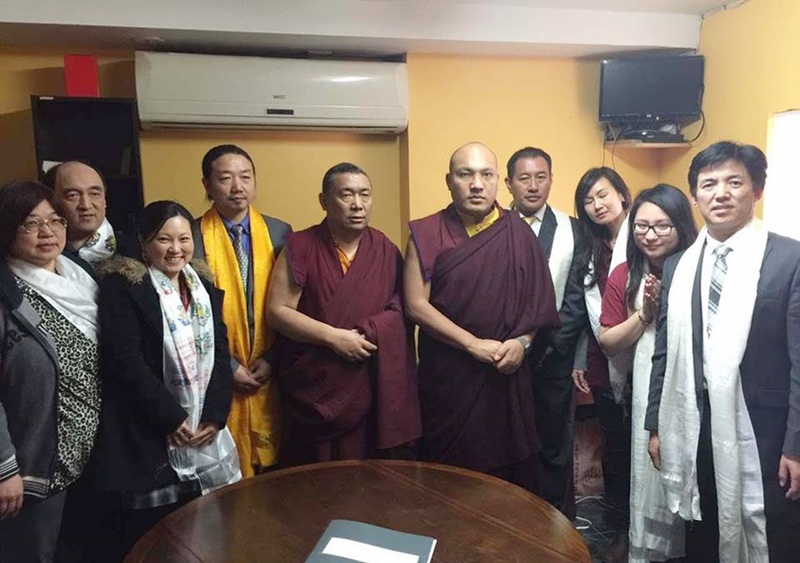 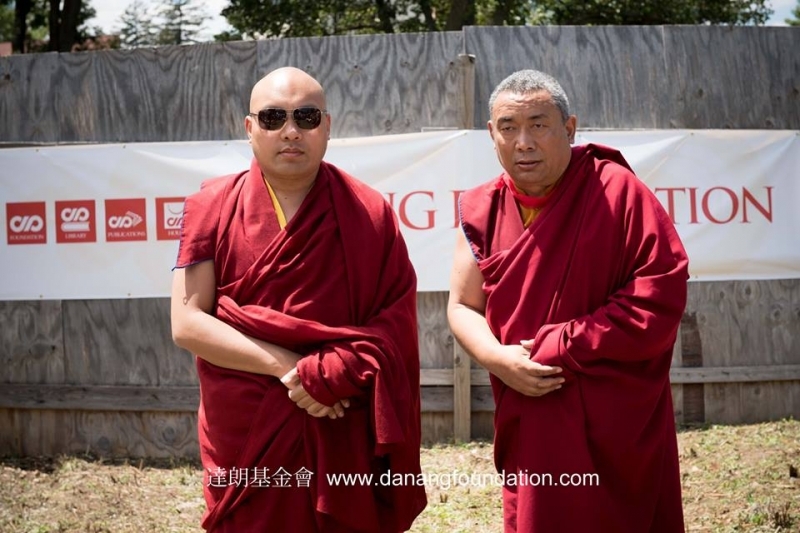 Geshe had also previously visited Tibetan Buddhist Center in 2010.